The word ‘hotpot’ for me has connotations of a thick meat stew topped with potatoes, served by Betty in Coronation Street. 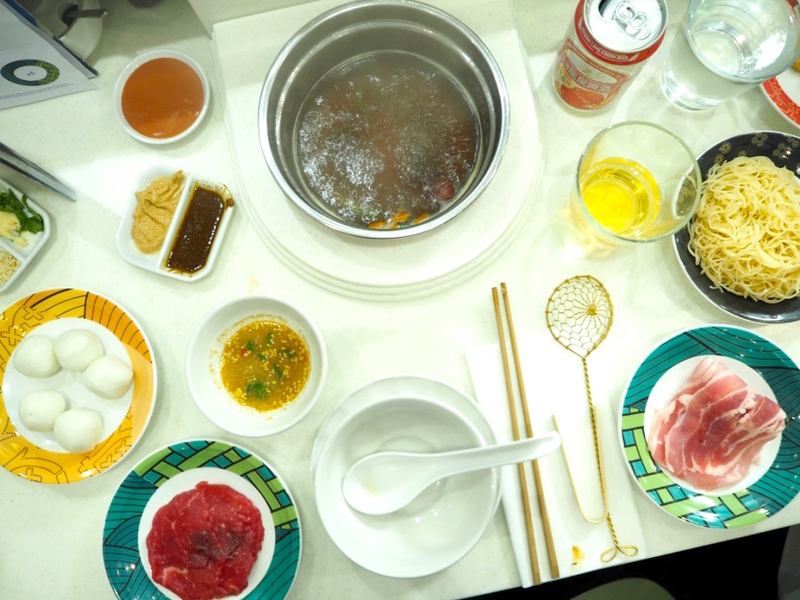 It wasn’t until I went to Beijing in 2014 that I first heard of, and tried, the Chinese version: a pot of boiling broth in the middle of a table, surrounded by various raw meats and vegetables ready to dunk. Shuang Shuang is on the edge of Chinatown, on Shaftesbury Avenue facing out into Soho. 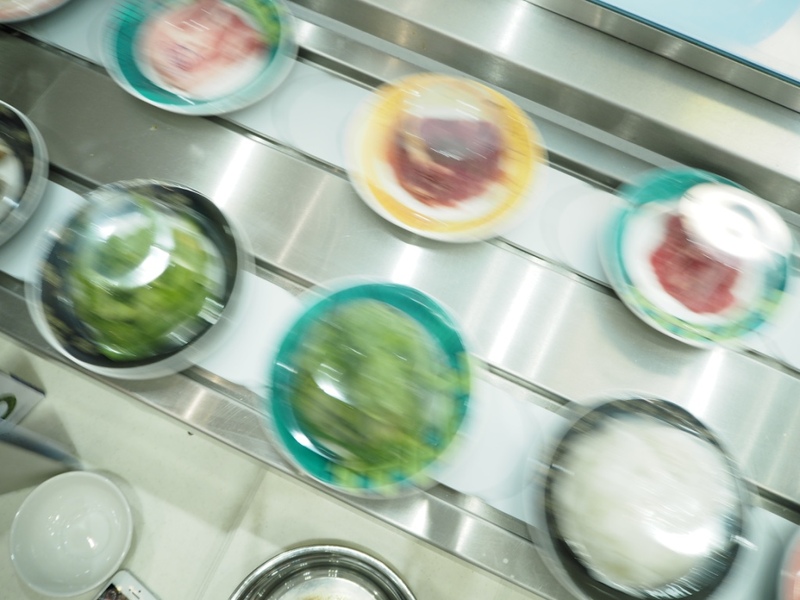 It’s shiny white inside, almost clinical, with seats snaking throughout and a conveyor belt moving through the middle carrying plates of food to pick off and add to your meal. First of all we chose our broths. As I was with fellow foodies Lucy and Etta, we decided to all have a different flavour so that we could share everything between us. The Mala broth is famous in China for its heat, and although it was spicy, it tasted heavily of sichuan peppercorns and I often find them a little too bitter for me; the Fish Pond broth was beautifully strong, made with fish bones, prawns and dried fish oil; and my favourite, the Black Bird, made with black chicken (literally what it says on the tin), and goji berries. 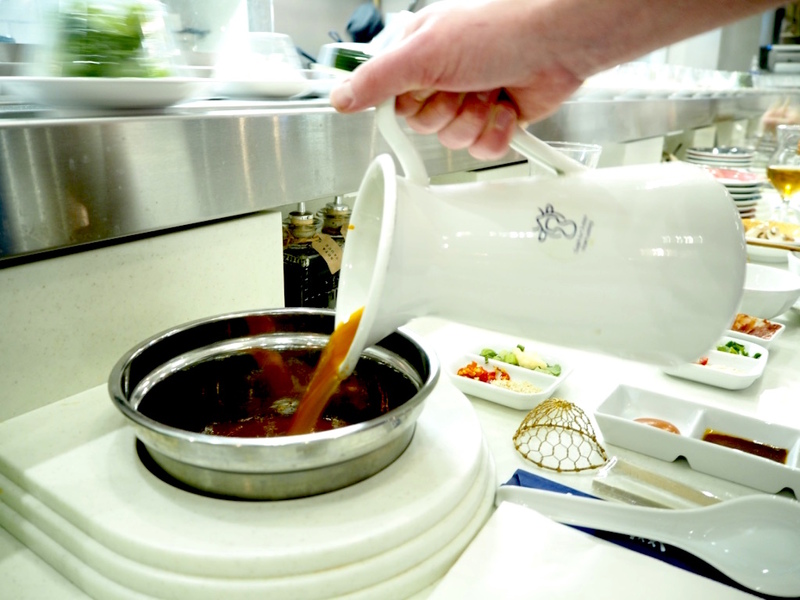 Our broths were poured into our individual pots, set in small singular electric hobs with temperature controls that we were in charge of. 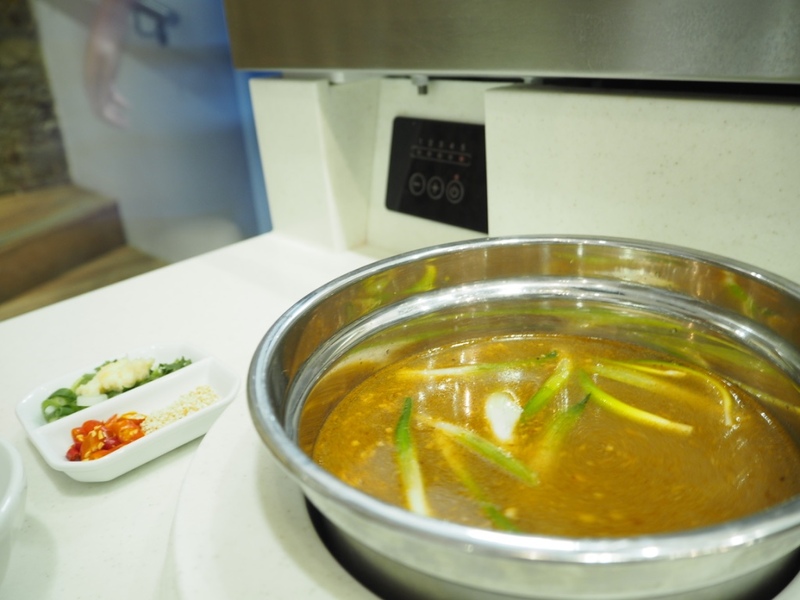 Set to boiling, we let them heat up while we mixed our dipping sauces in preparation. 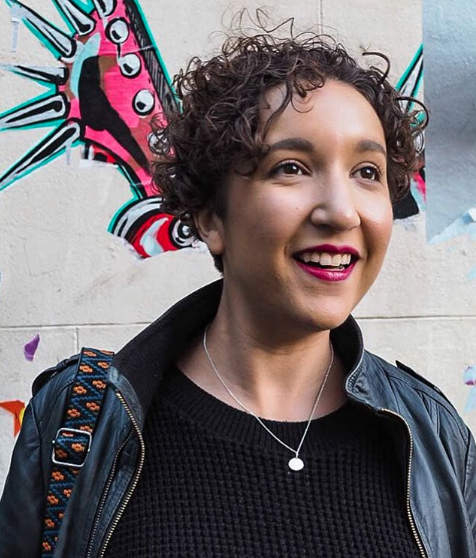 I followed the lead of Lucy, who with her Chinese heritage, led the way with suggesting what and how we should eat (I may have ended up a bit baffled otherwise!). I mixed up sesame seeds, spring onions, chillis, coriander, garlic and red bean paste (which was surprisingly sweet with a bitter after taste), and added a little bit of broth to make it more of a liquid consistency. Prepped and ready to go, we started picking plates off the conveyor belt. As with Yo Sushi, the colour of the plate indicated price from £1 to £4.30. Meat selections weren’t overpriced and we plumped for pork belly, rib eye and beef balls. 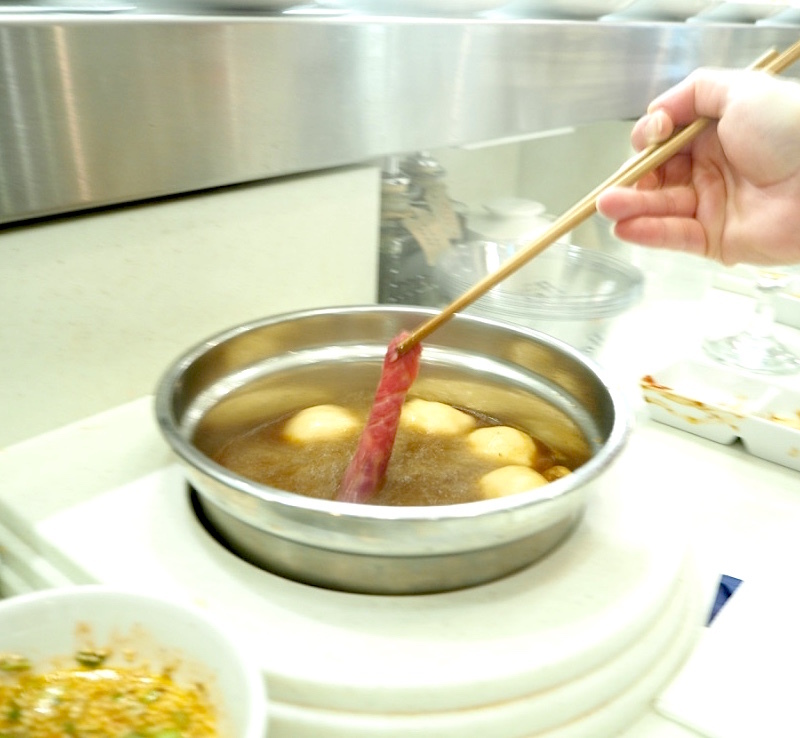 You simply hold the raw meat in the boiling broth for a minute or two until it’s cooked (it really is that quick, honest! 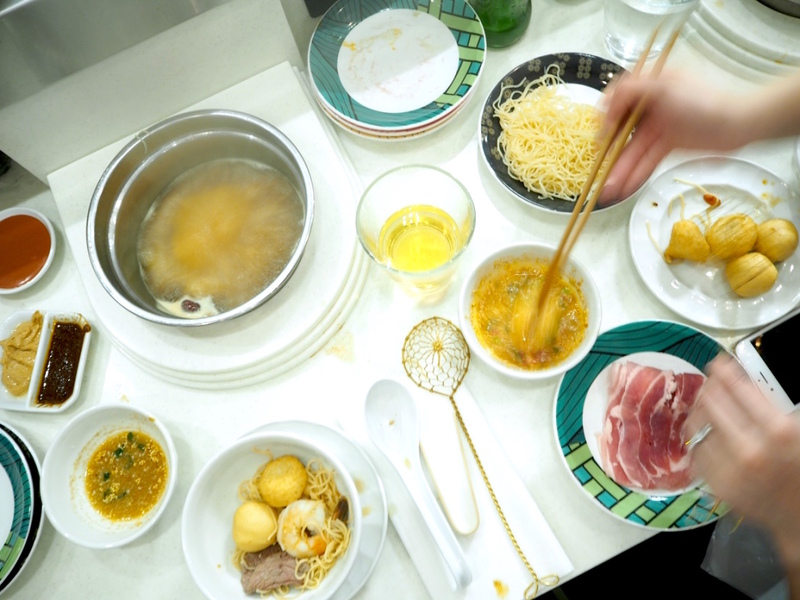 ), then dip it in your self made sauce or cram it in with some noodles (which we’d dunked in all the broths for a while and split out between us). 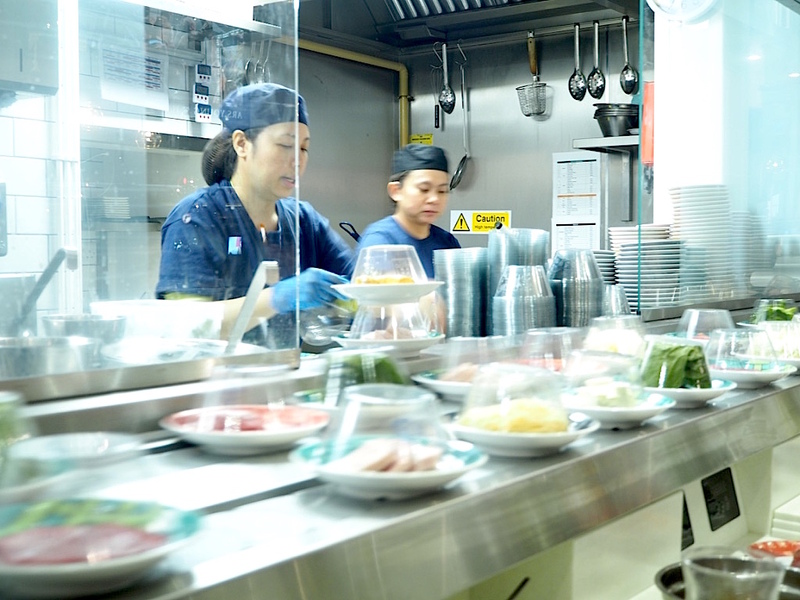 We had prawns whole, in balls (separated out by Lucy from a tube of paste like the pro she is), and then fish balls – a tofu ball with a fishy paste inside. And even more tofu in firm block, once again proving that I only like tofu when it’s served up in Chinese cooking. Otherwise? Bleurgh. It also turns out that I like lotus root too, so that’s one to add to the ‘hunt it down in China’ list for my trip in March. Shuang Shuang is an interactive experience. It’s not about cooking the food yourself; it’s about sharing it with others, experimenting with flavours, dunking a bit of this, mixing up a bit of that. It’s not relaxing but it is fun, and it’s a much more authentic taste of China than the sweet and sour pork you order from the takeaway down the road. Don’t be afraid to give it a go.